Once again, Toys-R-Us is partnering with Entertainment Earth to offer several San Diego Comic-Con exclusives at this year’s event. Toys-R-Us will have Hasbro exclusives from the Star Wars, G.I. Joe, Transformers, and My Little Pony lines along with Power Rangers, Batman, and Mortal Kombat. Fans attending SDCC can pick up the exclusives at the Entertainment Earth booth (#2343) during the event. For those not attending, Toys-R-Us has set up a Comic Convention Exclusives 2015 page on their website where the items will be available to order starting on July 9th. This year’s Star Wars set is Jabba’s Rancor Pit. The set includes Jabba the Hutt, Luke Skywalker, Princess Leia, C-3PO, Gamorrean Guard and the Rancor. 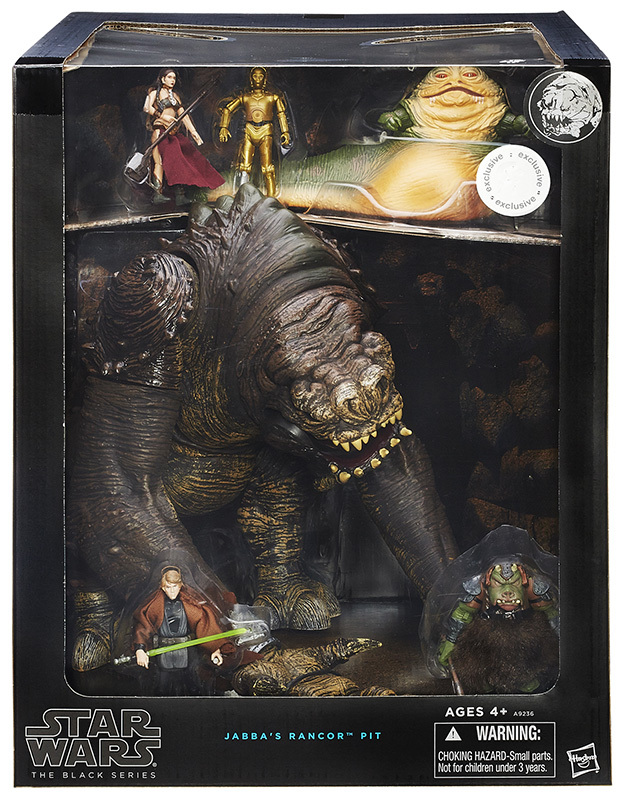 Jabba’s Rancor Pit is rumored to have an MSRP of $130 and according to the press release, will be available in stores later in the year. It was announced during this year’s G.I. Joe Convention that there would be two SDCC exclusives, one by Toys-R-Us and one from Hasbro Toys Shop, with the TRU set being the Desert Duel Pack. It includes Philip “Chuckles” Provost, Night Fox, Cobra Air Trooper, Elite Horseman and two vehicles; Cobra Basilisk and F.O.E. Striker. The Basilisk is a repaint of the 2010 Wolf Hound (Snow Cat) and the F.O.E. Striker is an update to the A.W.E. Striker. The set is estimated to be $60 and will only be available at the convention and on-line. 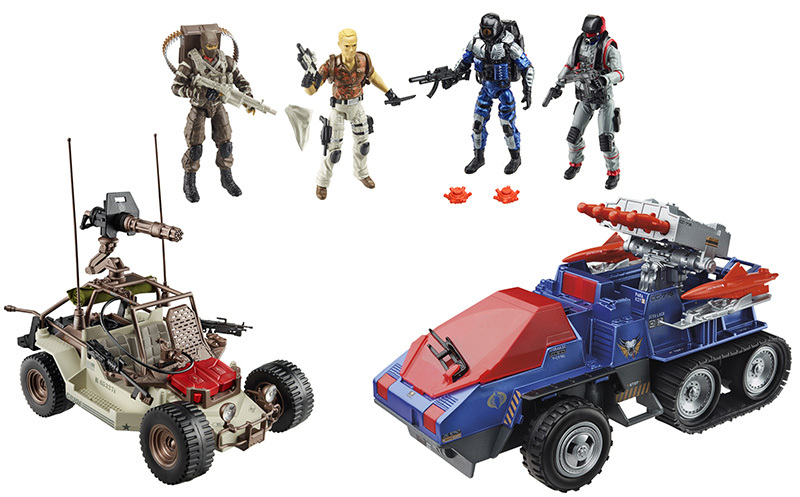 A regular release, without Night Fox and the Cobra Air Trooper, will be available in stores later this year.